Communication Legal Translation Establishment is massively delighted in accomplishing Linguistic services in Netherlands for faithful, exact and efficient linguistic, Grammar, Style and Spelling checks of a varied range of official, promotional, medical, personal, humanitarian, financial, industrial, academic and legal documents, plans, reports, statements, etc. in the Arabic and English Languages to our clients of famous profile. 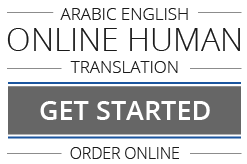 An eminence of nearly two decades has allowed our highly diligent professionals to adorn our Arabic and English Linguistic services in Amsterdam, Rotterdam and Hague with the impressive professionalism that we have established.